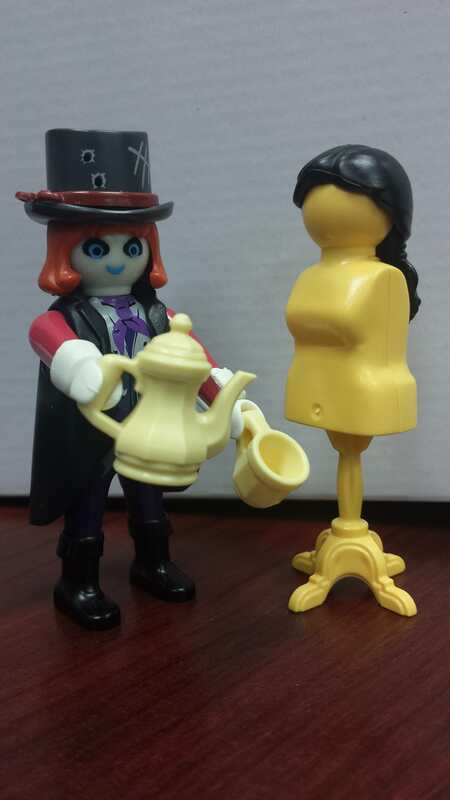 He is my most special playmobil figure and I really appreciate the time you put in to make him for me. I also what to extend a big thank you to each and everyone of you on this forum who take the time out to let us all into your world and fondness of these toys as well as lend assistance to help fellow playmo fans such as myself. You're most welcome, he looks great with the hat band. Nice figure for your avatar, TMH. Why is your avatar picture on its side? I never noticed before- that dressmaker's dummy has a belly button! Well when I uploaded the image to imgur it was upright but every time I went to load it here it kept doing that and then I said " Why not leave it that way? I am MAD after all"
Dummies are born, not made!